Pasta, Beans & Greens! Also easily made with gluten-free pasta, and can be vegan if you use a dairy-free pesto. 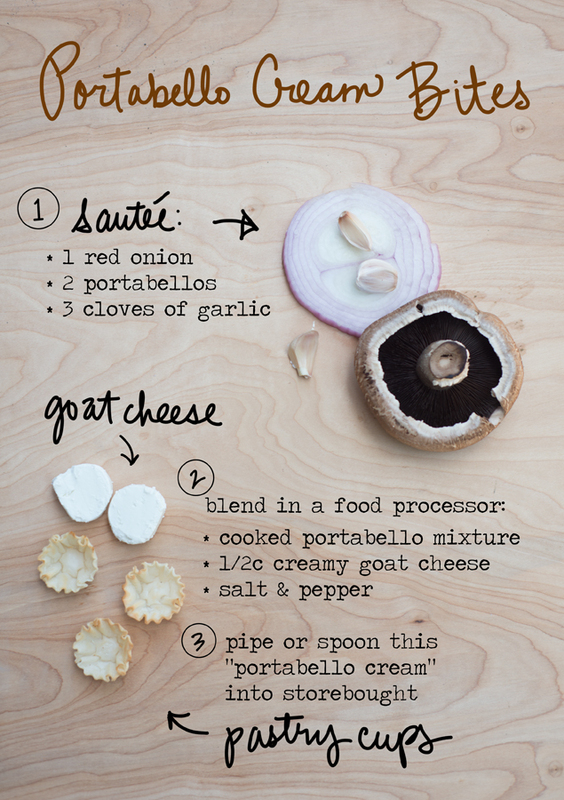 This is a good one for entertaining because it’s easy to make ahead and great warm or at room temperature. This post was done in collaboration with on Better Homes and Gardens. While on the east coast for a wedding last week, Jonathan and I snuck away for a couple nights to his family’s house in Vermont, which is absolutely gorgeous this time of year. Blueberry picking is big there in August, and we found a stunning place to gather some: Merck Forest. 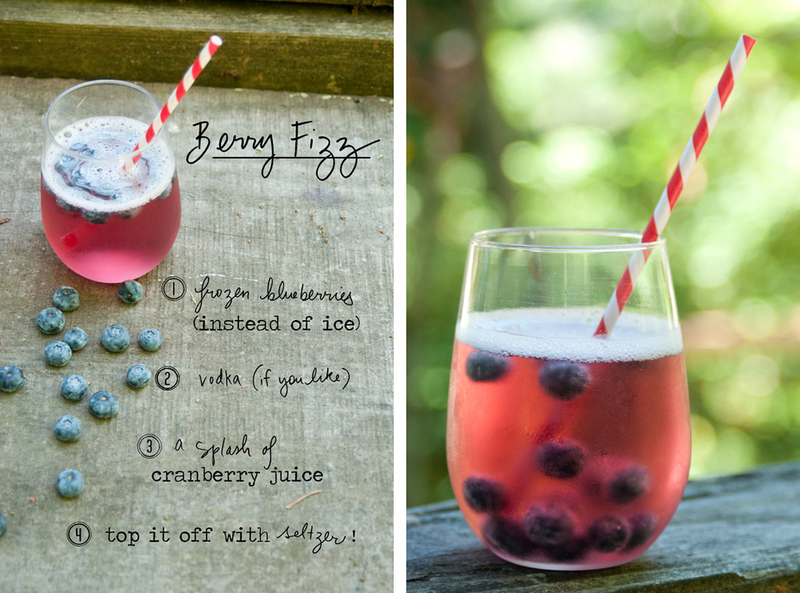 I love freezing blueberries and using them instead of ice in drinks at cocktail hour. Cheers! Continuing in the effort to make filling summer salads for lunch, yesterday I came up with this combo: 2 hard boiled eggs topped with pear tomatoes and cucumber (from a friends garden! ), plus half an avocado (cubed) and a handful of chopped fresh basil. I tossed the whole thing with olive oil and a bit of truffle salt (obsessed with that stuff!). I have just returned from a lovely trip back east to New York, Connecticut and Vermont to see family and friends and attend a cousin’s wedding. When I get back from vacation (usually having spent my time eating copious amounts of bread and cheese!) I often feel like I need something light for a few days. 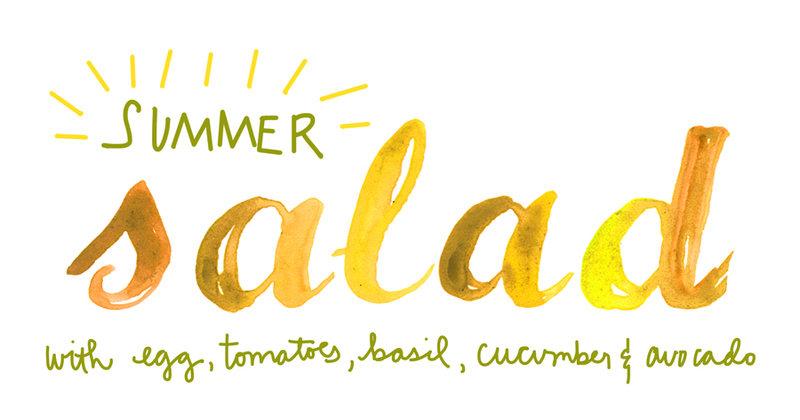 As I settle back into the studio this week, I am making lots of fresh but filling salads for lunch. 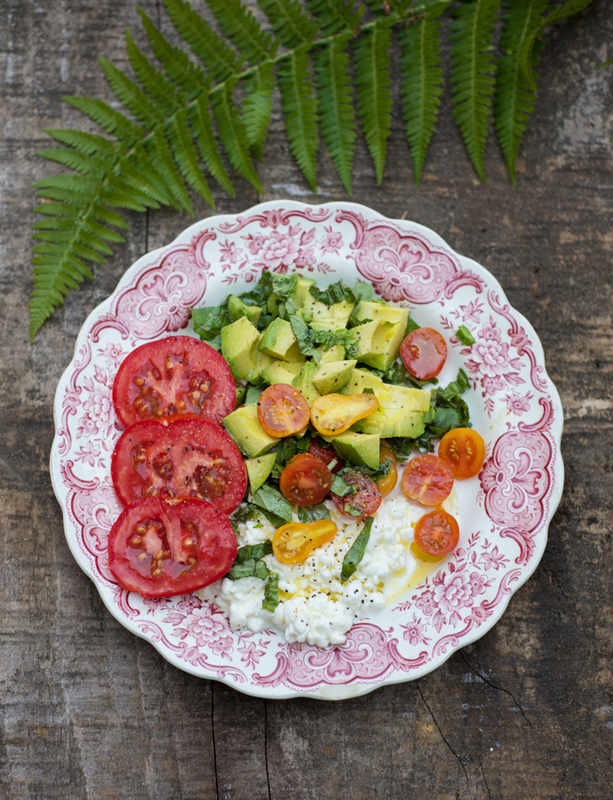 Gorgeous summer tomatoes came in our CSA box this week and I am topping them with cottage cheese plus a handful of fresh basil and some avocado chunks.